NUI Maynooth and DCU make the Times’ annual list, while South Korean universities take up two of the top three slots. MAYNOOTH AND DCU have been named in the Times Higher Education list of the top 100 universtities under 50 years old. 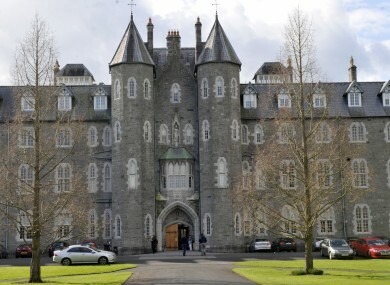 The Kildare institution – which became a full university in 1997 – has been named at number 74 in the London-based paper’s list, while the northside Dublin college comes in at 84. South Korea’s Pohang University of Science and Technology heads the list for the second consecutive year. Founded in 1986, the institution – better known as Postech – tops the rankings comfortably. Switzerland’s École Polytechnique Fédérale de Lausanne is in the number two slot, while the Korea Advanced Institute of Science and Technology rises from fifth to third. Our year-on-year improvement highlights the upward trajectory of DCU as an innovative educational force, in good company alongside young, breakthrough universities such as Hong Kong University of Science & Technology, University of California, Irvine and Nanyang Technological University, Singapore. The Times’ list differs from other third level league tables, which generally favour more established universities. It places an emphasis on benchmarks like teaching, research, knowledge transfer and international outlook, with less weight given to ‘reputational indicators’ which tend to benefit older institutions. Email “Two Irish colleges make list of top 100 'young universities'”. Feedback on “Two Irish colleges make list of top 100 'young universities'”.